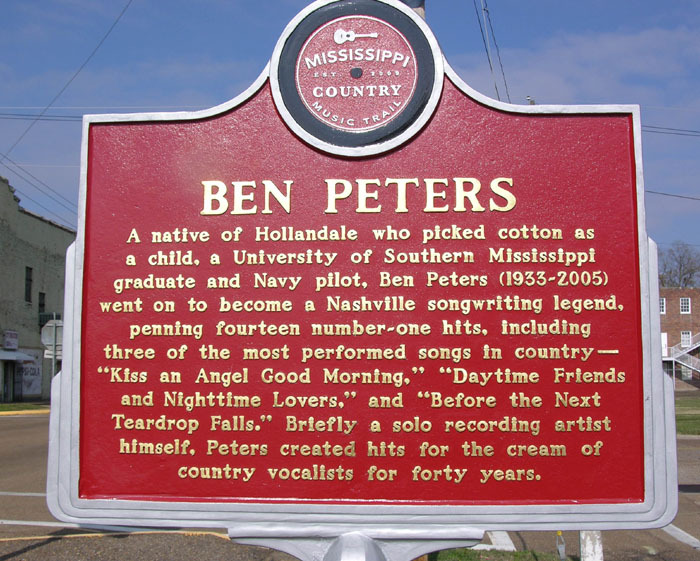 November 4, Hollandale: The State of Mississippi honored a Hollandale songwriter and artist, Ben Peters with a Countrty Music Trail Marker placed in downtown Hollandale. Ben attended Hollandale High School and after his graduation in 1952 he attended the University of Southern Mississippi where he graduated in 1956. Moving to Nashville in 1966 he wrote songs for many famous entertainers with such songs as his mega-hit "Kiss an angel good morning" performed by Charlie Pride. 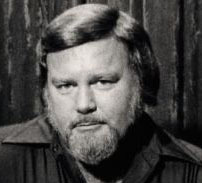 He went on to write a total of 14 #1 hits for such artists as Kenny Rogers, Freddy Fender, John Conlee and Eddy Arnold. His marker, located at the intersection of Washington Street and East Avenue in downtown Hollandale is the first Country Music Trail marker in Washington County.